What's cuter than a little boy in a bow tie? 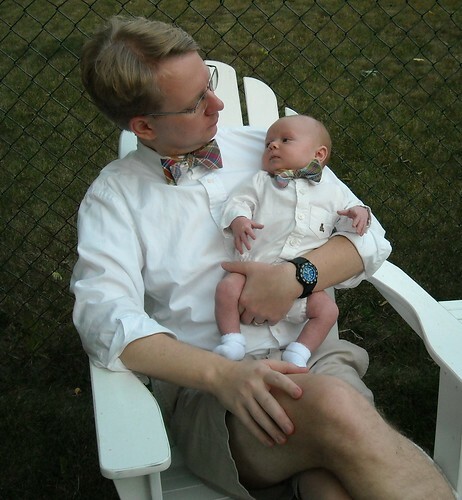 I'll tell you: A little boy in a bow tie with his proud papa in a matching bow tie! I have made some father/son sets and it just makes me smile! 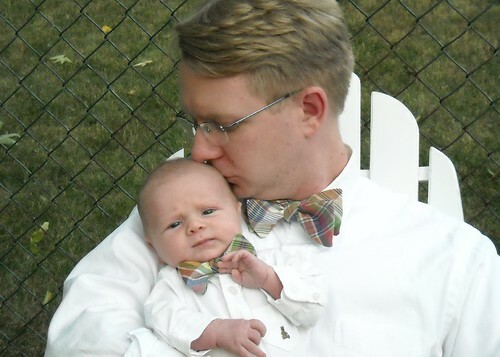 Here are some photos of some very proud fathers with their little boys wearing bow ties. Both of these guys must have caught me on good days because I threw in their baby bow ties for free. Aren't these guys too cute for words? Would be glad to help make your bow tie loving son happy! We can do them in any of the fabrics on our store. Do you make these matching bowties? Looking for a set for my dad and son. 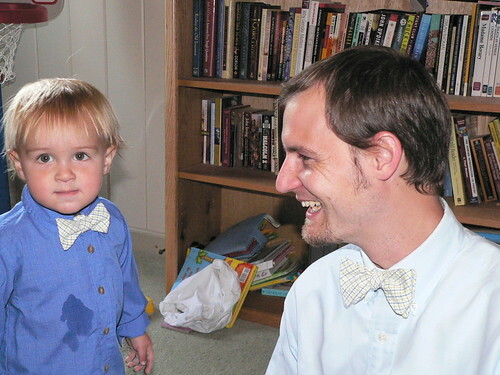 My son is a bow tie lover since the age of 3(now 6). It was all he asked for the Christmas he was 3! sorry, I thought I had commented before. These are just darling. I’m helping you get the word out!! Just received my Father/Sons bow ties. We LOVE THEM !!! My boys wanted to wear them to bed !! My blue shirt always looks like the one that little guy is sporting.